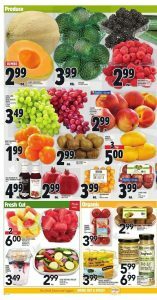 Let’s browse what you have on Food Basics Flyer March 16 2017. Todays offers are all about meat and meat options. You can see all kind of meat on this newest flyer. You can make your weekly or monthly meat stock with them. Also they have great opportunities and deals only for his week. Great discounts and price locked down options also available on this flyer too. Inside Blade Roast or Family Pack Steaks , $6.49 lb. Fresh From The Farm or Zabiha Halal Boneless Skinless Chicken Breast , $4.99 lb. Boneless Stewing Pack , $5.99 lb. Fresh From The Farm or Zabiha Halal Whole Chicken , $2.99 lb. Pork Shoulder Blade Chops , $3.99 lb. Selection Bacon , $3.99 ea. Johnsonville Breakast, Dinner or Smoked Sausages , $3.99 ea. 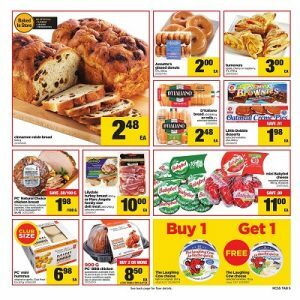 Maple Lodge or Zabiha Halal Chicken Wieners, Sliced Bologna or Loaf , $1.79 ea. Summer Fresh Dips or Hummus , $2.99 ea. Piller’s Kolbassa or Polish Sausage, Simply Free Smoked Breakfast Ham or Cornmeal Back Bacon , $4.49 ea. St-Hubert Chicken, Tourtiere or Braised Beef Meat Pie , $7.99 ea. High Liner Market Cuts Loins , $4.99 ea. Good time to save your money for weekly shopping with Metro Flyer March 16 2017. Today’s deals are mostly seafood options. You can full with these delicious and perfect seafood products. In this flyer we have wild caught options, also we have made in Metro stores options too, like Fresh Portabello Mushrooms with seafood stuffing. You can make a great seafood night with your family and friends. Just decide and come to pick up your seafood. Fresh Norvegian Atlantic Salmon Fillets , $12.99 lb. Fresh Portabello Mushrooms With Seafod Stuffing , $8.99 lb. Wild Caught Alaska Pollock Fillets , $3.99 lb. Dom Int’l Steelhead Smoked Salmon , $7.99 ea. Irresistibles Black Tiger Shrimp Ring , $9.99 ea. Irresistibles Tempura or Bacon Wrapped Shrimp , $8.99 ea. Their stores have lots of variety in every section. If you do not want to eat seafood we have another options too. Like burger meats, sausages and bacons. Also we have vegeterian burgers too. This week we have a great deals too. In Johnsonville products we have buy 2 get 1 free deal. You can make a great grill with them. It’s a perfect tool for spending times with your family and friends. Do not waste your time and come to their stores for anything you want and your needs. Irresistibles Butcher Shop Beef Burgers , $11.99 ea. Irresistibles Life Smart Vegeterian Burgers , $4.99 ea. Pinty’s Breaded Chicken or Chicken Wings , $12.99 ea. 44th Street Entrees , $10.99 ea. Maple Leaf Bacon , $4.99 ea. You can see the freshest produce on Metro Flyer March 9 2017. Their fresh fruits are waiting for you in their stores. Today you can find more than you look and every one of them has great taste, perfect quality and affordable price. Fresh fruit also very beneficial for your health. You can help your body too. With fresh fruits you can make a lot of things. You can eat them in your breakfast or you can have them as a snack too. Jumbo Cantaloupes , $2.99 ea. Raspberries and Blackberries , $2.99 ea. Extra Large Red or Green Seedless Grapes , $3.49 lb. Peaches and Nectarines , $2.99 lb. Honey Mandarines , $1.99 lb. Kiwi Basket , $2.99 ea. In their stores also you can find fresh cut foods too. They are ready to serve and eat. It’s very convenient and also time saver. Fresh vegetable also available on this section. You can find everything you need in their stores. When you need more products you can visit their stores. In Organic Food section also we have great options and deals too. Organic foods they are more nutritious, taste better, safe from scary chemicals and also you can sport your local producer. Raw Foodz Organic Dressings, Organic Dips, Organic Spreads , $5.99 to 6.99 ea. They have a lot of benefits and you can find more too. With them you can help yourself, your family and your community. For more information, deals and opportunities visit there and see this flyer. 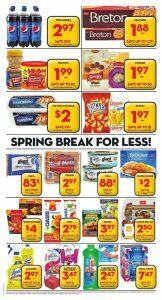 Real Canadian Superstore Flyer February 22 2017 is available now and waiting new people to meet. These fresh and delicious bakery products ready to taste. Fresh baked breads, cakes and more options are always waiti ng for you on their flyer. Just came and look what they have in every store. Also some of this products are freshly baked and served in stores. Do not miss this opportunity. Annette’s Glazed Donuts 12’s , $2.00 ea. Turnovers Apple, Cherry or Raspberry 4’s , $3.00 ea. D’Italiano Bread or Rolls , $2.48 ea. Lilydale Turkey Breast or Marc Angelo Family Size Deli Meat 200g , 250g , $10.00 ea. Mini Babybel Cheese 360g, 18pcs , $11.00 ea. Club Size PC Mini Hummus , $6.98 ea. Breads, donuts, turnovers, desserts, and also in this page they have some deli products too. Chicken, cheese and other deli varieties. Whole chicken also are available. Also they have a great offer for you. You have Buy one Get one free deal and today is the last day of the this offer. Do not miss this great options, special prices and great deals.